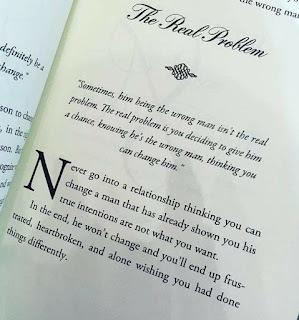 Sometimes, him being the wrong man isn't the real problem. 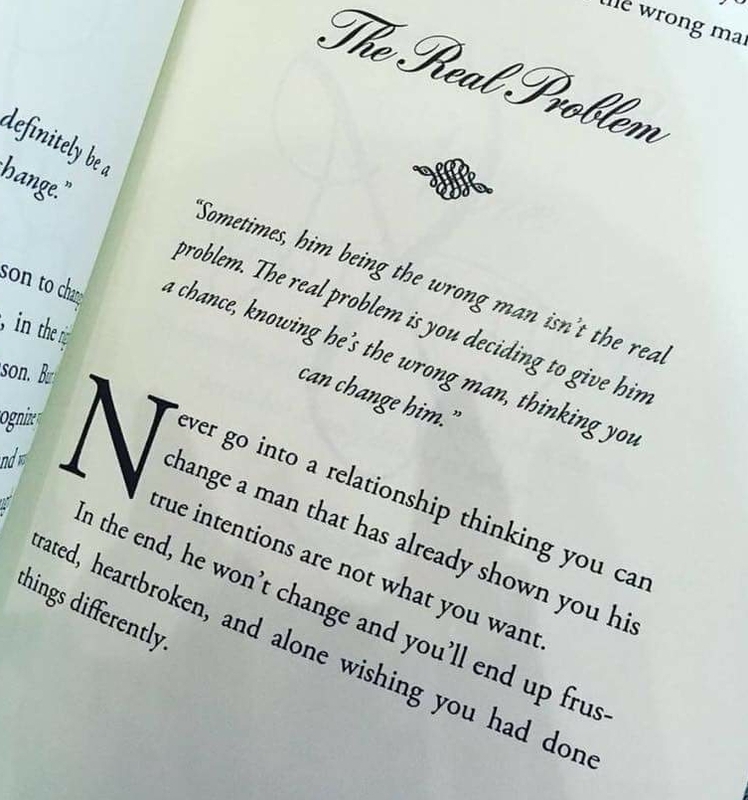 The real problem is you deciding to give him a chance, knowing he's the wrong man, thinking you can change him. Never go into a relationship thinking you can change a man that has already shown you his true intentions are not what you want. In the end, he won't change and you'll end up frustrated, heartbroken, and alone wishing you had done things differently.